body fat that is carried in the abdominal region that includes both subcutaneous (under the skin) and visceral (surrounding internal organs) fat deposits; waist circumference is often used to measure abdominal fat. part of the Dietary Reference Intakes (DRIs), the recommended intake for adults is (as a percentage of calories), 10-35% protein, 20-35% fat, and 45-65% carbohydrate. a term to describe physical activity that uses large muscle groups in a continuous and rhythmic manner. various surgical procedures on the stomach and/or intestines to help a person with extreme obesity lose weight. Eating in a discrete period of time (e.g. within any 2-hour period), an amount of food that is larger than most people would eat during a similar period of time. Also, a sense of lack of control over eating during the episode is experienced (e.g. a feeling that one cannot stop eating or control what or how much one is eating). the relative proportions of lean body mass (structural and functional elements in cells, body water, muscle, bone, heart, liver, kidneys, etc.) to body fat (essential and storage) mass. Body Mass Index (BMI): a measurement that evaluates the relationship between body weight and height; is the recommended method to diagnose overweight and obesity. a set of techniques to prevent and correct problems related to posture. a psychological approach that involves the identification and modification of thinking patterns and negative mood states. a hormone produced by the adrenal glands that is released in response to physical or psychological stress. a disease caused by insufficient insulin production or lack of responsiveness to insulin in the body; there are 2 primary types of diabetes, type 1 (which is sometimes called insulin-dependent or juvenile-onset) and type 2 (non-insulin-dependent or adult-onset). Diabetes: a disease caused by insufficient insulin production or lack of responsiveness to insulin in the body; there are 2 primary types of diabetes, type 1 (which is sometimes called insulin-dependent or juvenile-onset) and type 2 (non-insulin-dependent or adult-onset). a term that describes the lack of control over eating. a government-sponsored report on nutrition in health and disease that summarizes the findings from a panel of qualified experts who have reviewed the pool of scientific research. The Guidelines are updated every five years. formerly called the Recommended Dietary Allowances (RDAs); are a set of nutrient-based values that can be used to evaluate how “nutritious” a diet is. a term that describes how rigidly food intake is controlled in an effort to manage weight. a weight-loss approach that works by focusing choices on foods that provide a good volume-for-calories ratio; low energy density foods are usually rich in water and fiber and low in fat. the amount of energy, or calories, burned for metabolic needs, including breathing, blood circulation, digestion and physical activity. the amount of physical power the body uses in performing an activity. a term used to describe physical activity that includes range-of-motion activities that use the muscle/tendon groups. a term used to describe a moderate and adaptable way of eating. fear of trying new foods; particularly common in toddlers. A simple sugar found in many foods, and naturally occurring in honey, fruit and some vegetables. a hormone that acts in the stomach to regulate hunger. A simple sugar used by cells as a source of energy. a system that ranks carbohydrate-containing foods by their short-term effect on blood sugar. elevated levels of blood fats (e.g., triglycerides, cholesterol) in the body. Hyperlipidemia is often associated with increased risk of heart disease and stroke. a medical condition in which the thyroid gland produces too little thyroid hormone. the body’s defense system, made up of organs, tissues and cells that work together to help defend the body against infectious organisms and substances. 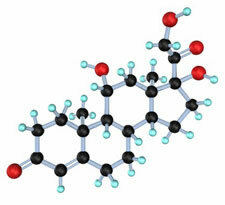 a hormone produced by the pancreas that regulates blood sugar levels. a condition in which the body doesn’t respond properly to insulin and is often a precursor to diabetes. a hormone that acts in the brain to control appetite. nutrients that the body uses in relatively large amounts, including proteins, carbohydrates and fats. a medical condition (sometimes called Insulin Resistance or Syndrome X) that is characterized by a cluster of health-related findings that include abdominal obesity, high blood pressure, elevated triglyceride levels, elevated blood sugar levels and below-normal levels of HDL cholesterol. the total number of calories the body burns on a daily basis; includes the three major components of resting metabolism, physical activity and food digestion. a new method used to create behavior change that focuses on the natural ambivalence that is part of any lifestyle change and is geared toward enhancing motivation and bolstering commitment to the change process. the amount of muscle contained in the body; often used interchangeably with fat-free mass and lean tissue in weight management documents. a group of non-nutritive sweeteners which provide 0 calories per gram but have a sweet taste. Often used in place of caloric sweeteners like sugar, they are chemically processed. factors in the environment that may encourage obesity and promote the expression of a genetic tendency to gain weight. a food (plant or animal) that is grown, treated, or processed without conventional pesticides, chemical herbicides, hormones, fertilizers and antibiotics. a common occurrence during the weight-loss process when weight remains the same for a few weeks or longer. a weight-loss approach that works by specifying the amount, or portion size, of foods eaten in a day with the goal of eating a specific number of calories. nondigestible food components that stimulate the growth and/or activity of beneficial bacteria (“probiotics”) in the colon. group of symptoms that occur one to two weeks before menstruation begins. Symptoms usually go away when menstruation begins, or shortly thereafter. beneficial bacteria which, when consumed in adequate amounts, provide a health benefit related to their interactions with the digestive system. a term used to describe physical activity that includes muscle-strengthening activities that work to build muscle and bone mass. the disappearance of appetite and feeling of fullness that occurs after eating a meal. a person’s perceived ability or confidence to make a desired change. the fat found below the skin. Commonly known as table sugar and made of glucose and fructose. the fat that is found deeper down in the abdomen and surrounding the internal organs. a measure used to assess abdominal fat. Women with a waist measurement of more than 35 inches or men with a waist measurement of more than 40 inches have a higher risk of developing obesity-related health problems, such as diabetes, high blood pressure, and heart disease.